It’s the most wonderful time of the year… for coffee drinkers, that is. We just learned that Starbucks is launching a limited-time-only Frapp that you can get your hands on starting Thursday, December 7th (just through December 11th). And it’s SO. GOOD. 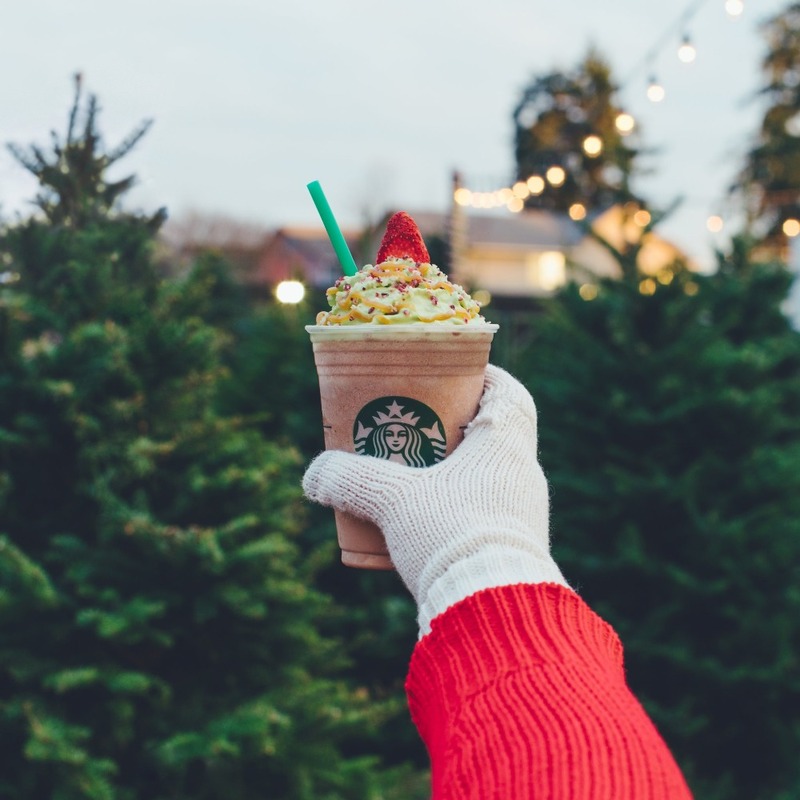 If you ever wondered what Christmas tasted like, the Christmas Tree Frappuccino comes pretty close (at least, that’s what we think, we haven’t had our special sips yet). Matcha green hot cocoa probably does too, just in case you’re not a coffee fiend. Yes, for just four days, participating Starbucks locations in the U.S. and Canada will be serving up the festive Frapp, and we cannot wait to see all of the #christmastreefrappuccino goodness that is bound to blow up. Just like the glitter cappuccinos we saw last month, those frothy finds got a wholeeee lotta love online. Here’s what we know so far. We might have been snooping on the hashtag already, and it seems that Starbucks baristas are getting SO EXCITED for this frozen drink to drop. Like Elf hearing that Santa is coming to Gimbal’s kind of excited. You know what we’re talking about. I haven’t gotten my actual Christmas Tree yet (yep, hashtag it won’t happen till the week before Christmas), but I’ll take one for the team and head out into the cold to score one of these tomorrow. Maybe two or three more before the availability window closes. 🎄 🎄 🎄 . And maybe I’ll put some Christmas makeup on, too, just to be as extra as possible. I’m a basic holiday B and I know it… Oh, and here are a few snaps of the red and green Frapp that will get you in the spirit. If you’re not already!